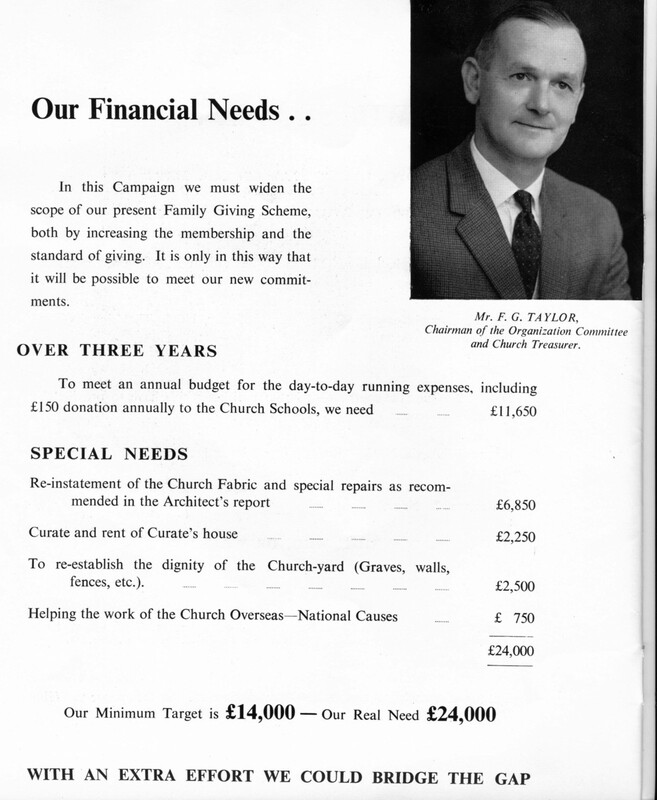 Money was needed for the upkeep of the St James’s Church in the 1960s and a Restoration Fund was set up by the Parochial Church Council, the Churchwardens and the Vicar in 1961. Howard Taylor, who was the longest serving warden and a member of the committee, is pictured in this photograph with an account of the expenditure. By July the committee announced that they had raised over £11,000. 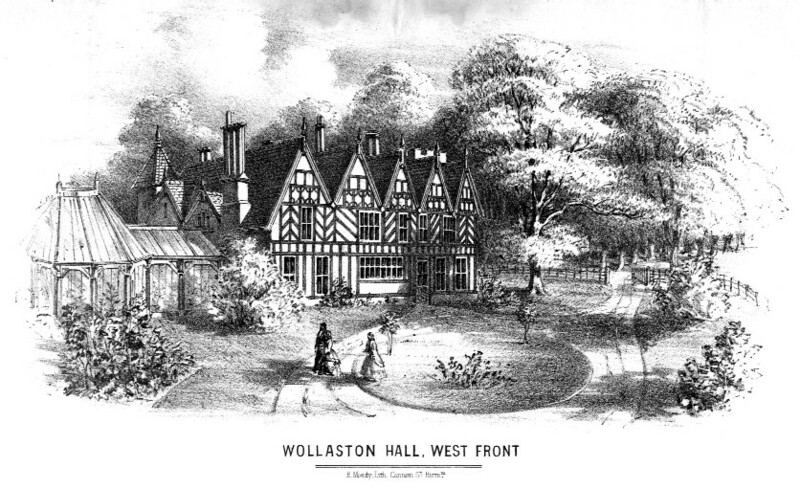 This image is taken from a booklet which was produced as part of the fund raising effort. Howard Taylor served as warden from 1944 until his retirement 1973. His brother, Fred, was also a warden from 1959 until his death in 1972.